The Tolomeo incandescent desk lamp is an icon of Italian modern design. 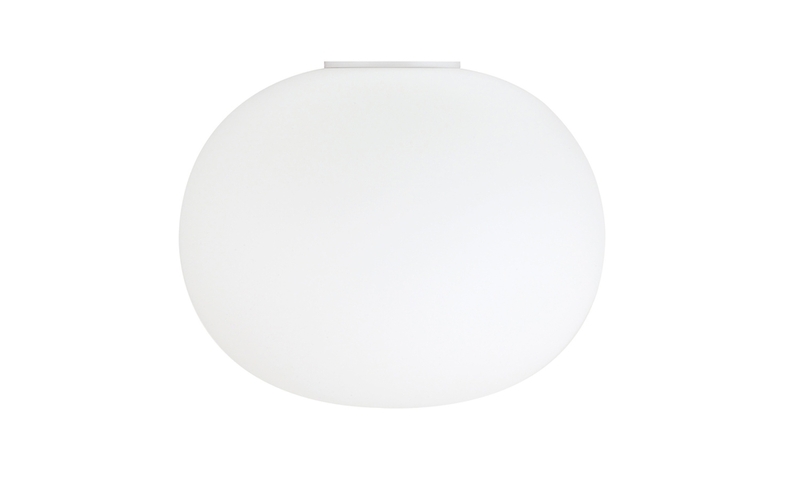 It was designed by Michele De Lucchi and Giancarlo Fassina in 1986 for the Artemide company. In its original configuration, it consists of a heavy base, two straight polished aluminum arm sections (each approximately 45 cm long), and a matte aluminum reflector head which can swivel 360°. A table lamp conceived by Achille Castiglioni for the opening of the Flos showroom in Turin in 1972, Lampadina reflects its name in its genial terseness. A large bulb lamp, partially satin finished to limit its reverberation, housed on a bulb holder with built-in switch and supported on a reel-like aluminium base, useful for rolling up excess cable. Ceiling mounted lamp providing diffused light. Diffuser consisting of an externally acidetched, hand blown, flashed opaline glass and of a die-cast aluminum threaded ring nut with alodine plating finish. The Piani collection is made up of a flat base and a flat top. The base is either a tray so that objects can be displayed in a triangular beam of light as if they were on stage. The Tab lamp is a simple folded form, creating a visually pure shade that translates into a desk or a bedside table lamp.